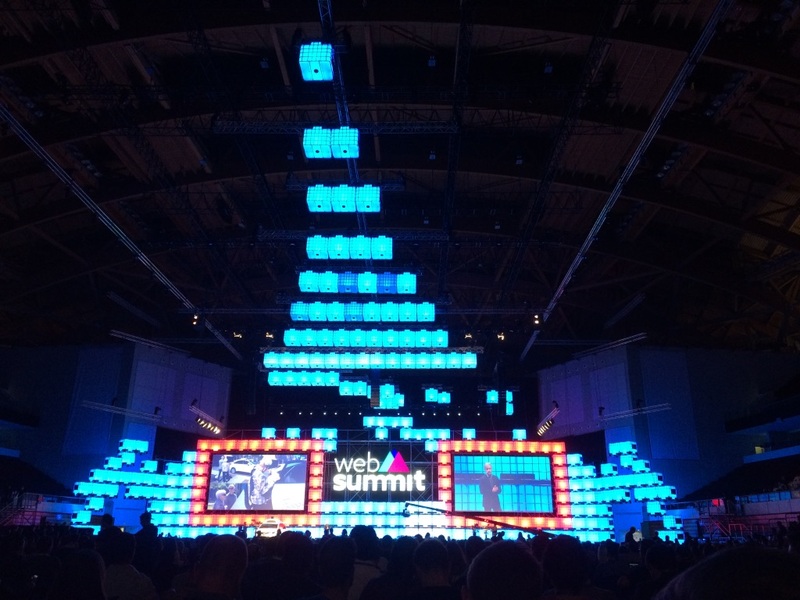 Last year we attended the Web Summit conference in Lisbon as a guest of the Starcounter team and quickly discovered that on top of being one of the largest internet technology conferences in Europe, Web Summit is also incredibly inspiring. This year we are returning to Web Summit with Handsontable, not as a guest, but as an exhibitor! 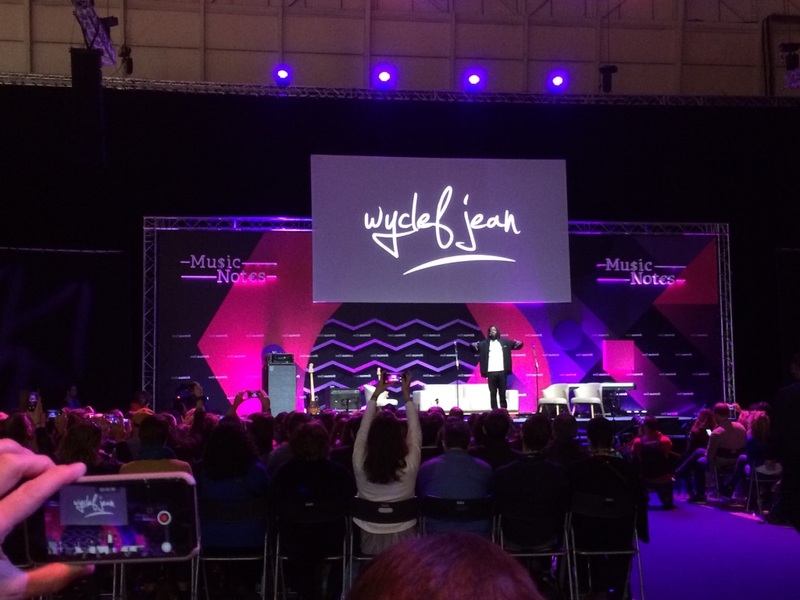 From November 5-8 you will be able to meet us in Lisbon, in the Web Summit BETA zone. We haven’t been allocated a booth number yet, but you can follow us on Twitter where we will publish it once we get it. Come and see us there! 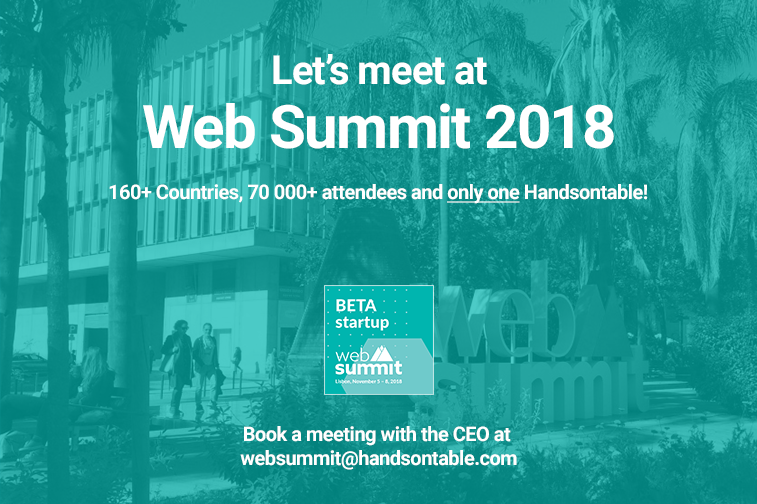 You can book a meeting with our CEO, Head of Sales or Core Developer at websummit@handsontable.com. While our focus will obviously be on Handsontable, we’ll also be launching a new product that we have been working on. Without revealing too much, we can say that although it is based on Handsontable, it differs considerably, and could be used with a diverse range of systems, such as CRMs, ERPs, HR, CMS, Chats, and File Management Systems. If you want to know more about this brand new product, you’ll definitely want to stop by our stand at Web Summit. Of course, Web Summit is about more than just being an opportunity to hear great innovators deliver inspiring talks, or discovering cutting-edge technology and solutions, it’s also a fantastic networking platform. Besides exploring business opportunities and partnerships, we’d love to hear about your experience using our products. After all, networking isn’t just about opportunities, it’s also about connecting with people. And as a thank you to anyone stopping by, we will also be offering discounts on our products exclusively to attendees of the event. 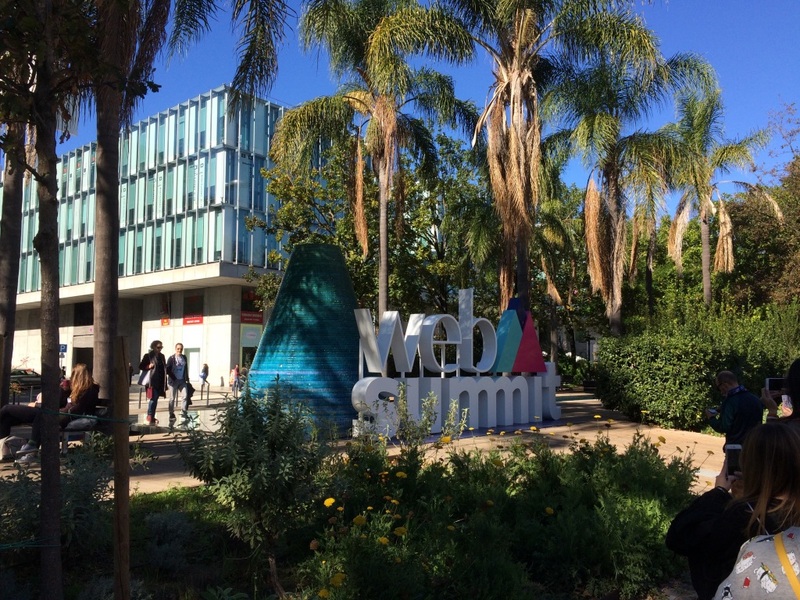 Get in touch today and let us know if we can expect to see you at this year’s Web Summit!